It is always an honor to share a message at a conference, event, or via telephone, podcast, radio, or blog interview. Interested in booking me as a speaker? Get more information here. If you’re interested in having me for a media appearance, please see my recent engagements below and download my Media Kit below. Below is a list of my recent speaking engagements. Stay tuned for details about my 2019 speaking and interview schedule and few upcoming collaborative ventures. Stay tuned for details about upcoming joint ventures and collaborations. Most recently, I was a contributing author with W hen Women Connect: Stories of Extraordinary Friendships and Connections. 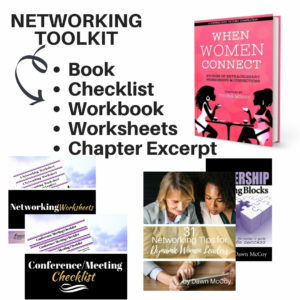 Inside this anthology, I shared more about networking insights, strategies, and tools. Click here to get more details! Prior 2018 events can be found here! 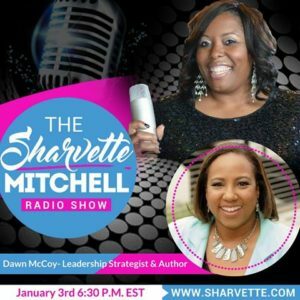 Dawn McCoy is a speaker, author, leadership strategist and founder of Flourish Leadership Group, a leadership development, and communications firm. 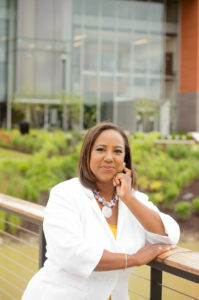 She provides strategic services and professional development for individuals along with public sector and commercial clients. Work with Me, Follow Me, and/or You Have Questions? Do you need a consultant or leadership strategist? If so, click below for details or explore more via Work with Me or contact Dawn McCoy via Email.